As an affiliate of one of the most recognized hip-hop groups of all time, Mobb Deep, Big Noyd has garnered much respect in the hip-hop community. He has appeared on classic Mobb Deep albums like The Infamous, Murda Muzik, and Infamy. Now Noyd is back with his brand new album, Illustrious. This sure-fire banger showcases Noyd’s no-nonsense flow and crisp vocal delivery. 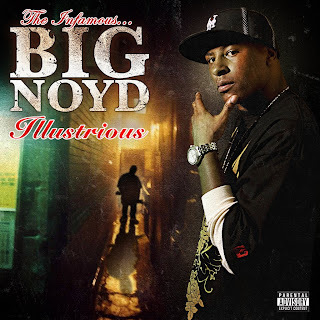 With guest appearances from Joell Ortiz and Executive Produced by Lil’ Fame of M.O.P, Illustrious is another notch in the belt for this Queensbridge heavyweight. 11. Trying To Make It Out feat. 40 Glocc & B.A.M.